Why choose Glowcare for your Vaillant Boiler Repair or Service? Glowcare are Vaillant Approved Service Engineers and Specialists. We are trusted by Vaillant, having been a Vaillant UK official service agent, providing support to their North West service team, for many years. Glowcare, established in 1992, has been working on Vaillant’s full range of combi and system gas boilers, including the latest high-efficiency ecoTEC pro 24, 28 & 30kW, ecoTEC plus 824, 825, 831, 832, 835, 837, 838 & 937, Vaillant ecoTEC plus regular, Vaillant ecoFIT pure combination boiler, Vaillant ecoTEC exclusive green iQ combi, Vaillant Home Combi, Vaillant Home regular, Vaillant ecoFIT pure regular, and all other Vaillant ecoMAX, & Vaillant turboMAX boilers. Glowcare provides affordable, one-off fixed labour price, for repairs or service, in most areas of the North West of England, including; Greater Manchester, Liverpool, Cheshire, Lancashire, and North Wales. Please check our Areas We Cover page, to find your location. As well as repairs, we also undertake the all-important Warranty Qualifying Service. This must be done at the end of each year, to keep the ecoTEC boiler’s warranty valid through its guarantee period. We carry a comprehensive stock of genuine Vaillant spare parts, for all the latest high-efficiency ecoTEC plus and pro boilers. 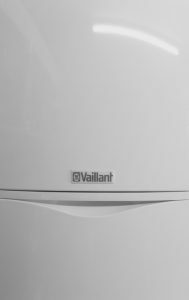 This ensures, that we can get your Vaillant boiler repaired in just a single visit. We are committed to bringing a knowledgeable, reliable and friendly service to our valued Vaillant customers, at a sensible price. Please view our Customer Testimonials page, to see how our customers rate our service. Provide a knowledgeable, one visit repair, that’s explained in plain talking. Carry all Vaillant parts with us, saving return visits. 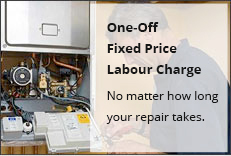 Charge a sensible fixed labour price, that will be quoted before we attend. Resolve Vaillant ecoTEC problems, with fault codes F.22, F.27, F.28, F.29, F.54, F.61, F.62, F.63, F.64, F.75. Contact Glowcare today on 01244 880725 or 07789018775. You can also use our Enquiry Form to send us an email.